Electrician Perth | Common Perth Electrical FAQs A regular problem our Perth customers face is having the RCD safety switch trip. Before we attend we will always run through with you over the phone a few simple checks you can undertake yourself without having the electrician attend. 1 – Check your home is the only house that is affected as there may be a power outage in the area. 3 – If the RCD or Circuit Breaker do not reset then physically unplug all appliances inside and outside. This includes all plug in lights, pumps and reticulation controllers. 4 – If the RCD or Circuit breaker resets then go back and plug in all your appliances one by one. 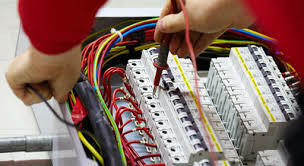 If the RCD or Circuit Breaker trips again whilst plugging in your appliances then you have found the faulty appliance causing the problem and you should call an electrician to have it repaired. 5 – If the RCD or Circuit Breaker does not reset then there is likely a problem with the circuit or the RCD itself. If this is the case then you should call Westside Electrical Group. 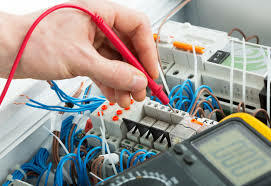 Being qualified A grade Perth Electricians, we can get your power back on to your place fast.